While digital technology has given the youth of today an unprecedented power of self-expression, we believe that an appreciation for the permanence of physical art remains essential for community. That's why we bring kids together to paint on walls, contributing their creativity to a mural project. 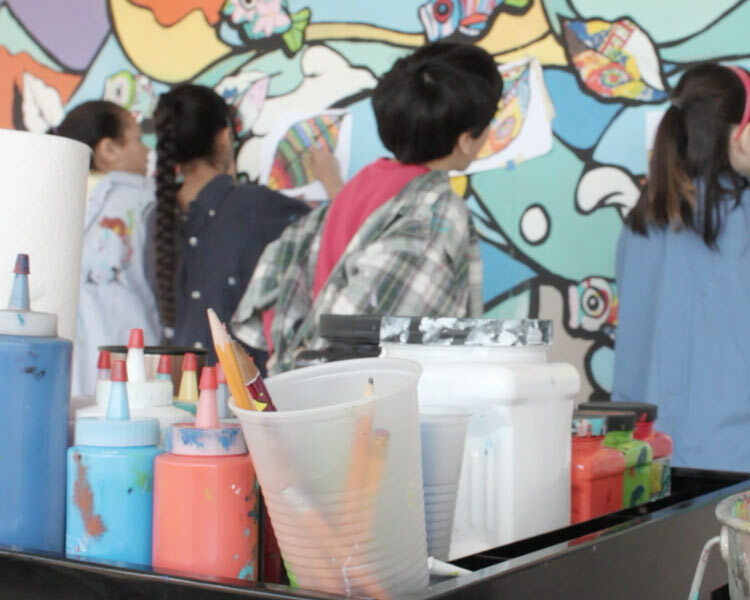 The Imagination Mural Project allows children to contribute something permanent to their community; something they can take pride in for years to come, something that in turn allows the community to take pride in its children. And when those children have grown into adults, that mural will still be there as a physical reminder of their connection to the community. By working with schools and youth programs, we hope to give children a chance to express their creativity, while at the same time strengthening the community as a whole. If we can inspire even one student, or one community member, to make the world a better place through art, then our time and money will have been well spent. We have partnered with several schools and youth organizations to bring in muralist, Bayne Gardner, who specializes in making art with children. 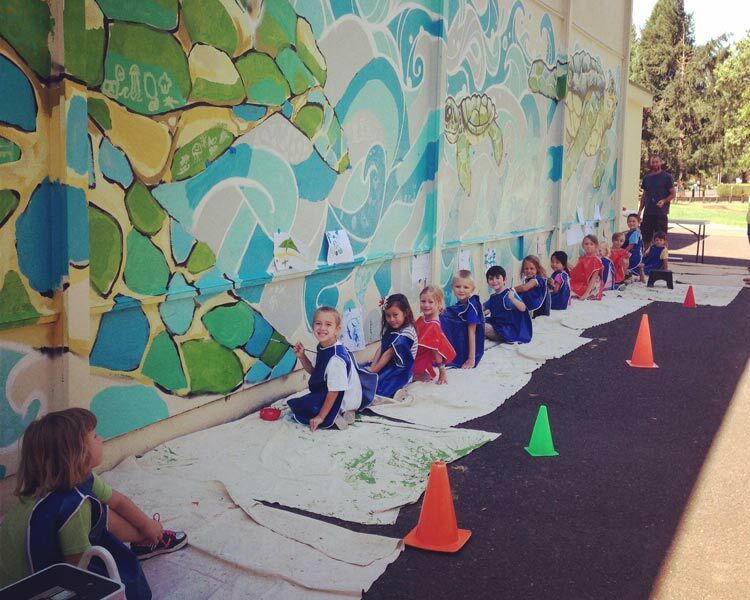 Bayne lays out the mural and does the background painting, then the kids add their own artwork into the final composition. When numerous local schools have shrinking budgets and scarce resources for art education we feel it is essential, along with our partners at Forrest Paint and the Eugene Education Foundation, to offer this program at no cost to the school or community. If you are part of an organization that wants to participate in the Imagination Mural Project, please reach out to us by sending an email to Hillary@iii.global, and visit our Youth Education page to see other ways iii promotes art and education within the arts community!